Recognizing our role in early literacy development, we plan our storytimes to incorporate at least one of the Six Early Literacy Skills each week. Thank you to the Multnomah County Library for providing this description of the Six Early Literacy Skills. The Children’s Department has two Early Literacy Stations (ELS) loaded with more than forty-five educational software titles for kids ages 2-10. Children may use one of these computers for 30 minutes each day. 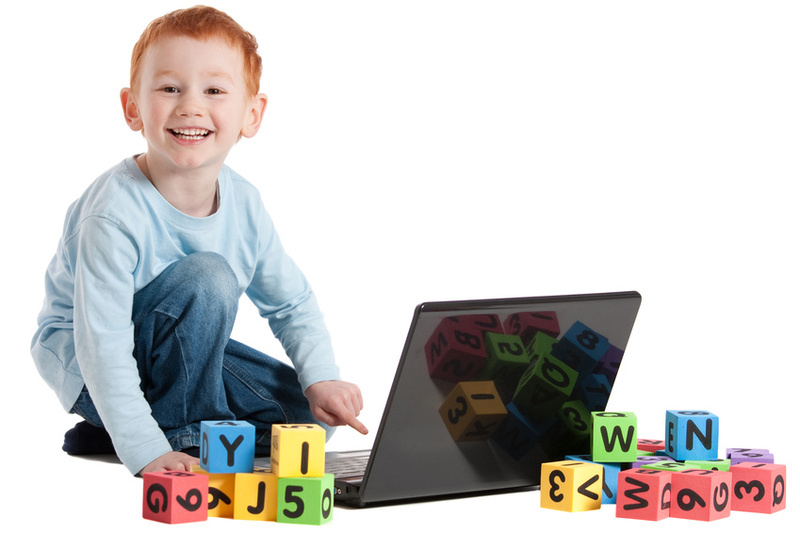 The Early Literacy Stations offer children a safe, standalone computer not connected to the internet. It is age-appropriate, engaging, and academically relevant for children. The ELS has a colorful keyboard and tiny mouse to promote easy learning and discovery. The education software covers seven curricular areas: reading, math, science, social studies, writing, arts and music, and reference. The system is designed to attract and educate toddlers through early elementary school ages. We have one English language computer and one bilingual Spanish computer. The Friends of the Welles-Turner Memorial Library generously donated these computers. We welcome new Glastonbury babies with an invitation to pick up a “Books for Babies” packet. If you have a new baby and have not received an invitation from us, please stop by the Children’s Desk to let us know. Thank you to the Friends of the Library for their support of this program. “Reach Out For Reading” is a special outreach program that brings storytimes to children in local daycare centers and homes. When the librarian visits a daycare, she brings a Book Box which contains 15 books for the provider to use for one month. During the school year our Children’s Librarians welcome classes from Glastonbury elementary schools for a storytime and tour. With at least one week’s notice, our Children’s Librarians can schedule and present a short program and library tour for scout groups, preschools, and daycares. Please call or email for further information. We have assembled themed kits that contain several books plus a selection of music, flannel board activities, craft ideas and detailed booklists, all on a particular subject. These may be borrowed for the same length of time as books. For a list of themes, click here. Our Parent Shelf houses a timely collection of books and DVDs that address a wide range of topics, from age-specific development, potty training, behavior and discipline, to birthday party ideas, cookbooks, and travel and play ideas. There are also books that deal with sensitive topics like bullying, death and divorce. The Teacher Collection is a resource we maintain for anyone who teaches children, parents included. The materials support preschool classroom and home learning experiences. Starfall is a free public service to help teach children to read using phonics. Birth to Three is Connecticut’s website for parents of children who have concerns about how a child sees, talks, hears, moves, eats or plays. LD Online is a website on learning disabilities, learning disorders and differences. Netsmartz.org explores a variety of internet safety topics for parents. Internet Safety Pledges can help provide clear guidelines for safer Internet use. HealthyChildren.org is a parenting website with information on children’s physical, mental and social health and specific guidance on a multitude of parenting issues. It is backed by 60,000 pediatricians.